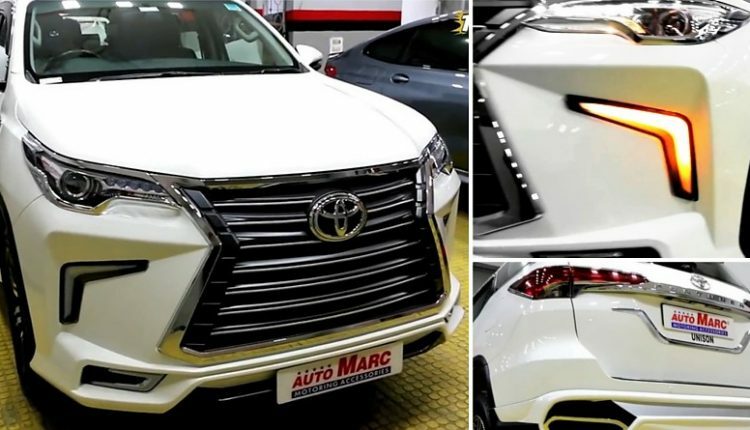 The design language of the present generation Fortuner is already inspired from the Lexus cars and the addition of the spindle grille on this modified Toyota Fortuner by Auto Marc has made the car more prominent than any of the stock variant. 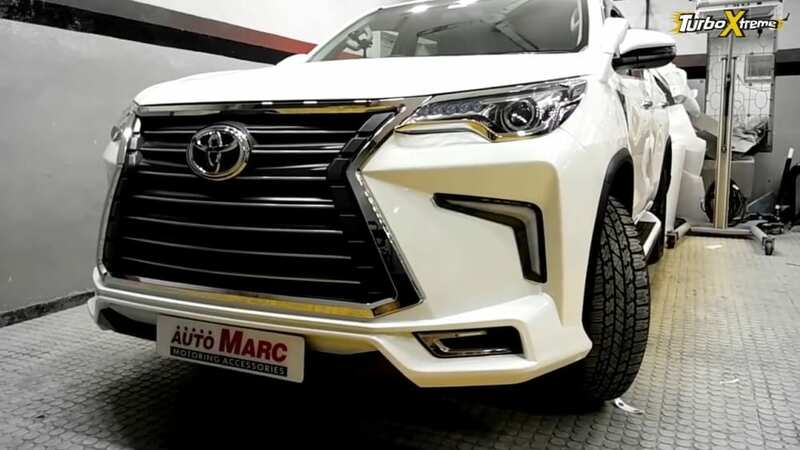 The front now flaunts an identical grille to the Lexus LX570, looking massive in size due to the huge bonnet height and perfect in proportion for the premium front-end appeal. 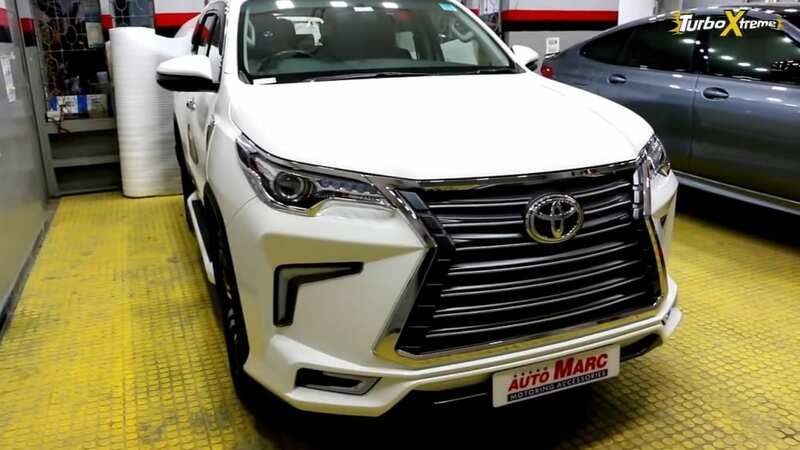 The LX570 is based on the same architecture as Toyota Land Cruiser and thus, the name Lexus adds luxury to the powerful variant. The price difference between Land Cruiser and LX570 is INR 87 lakh. 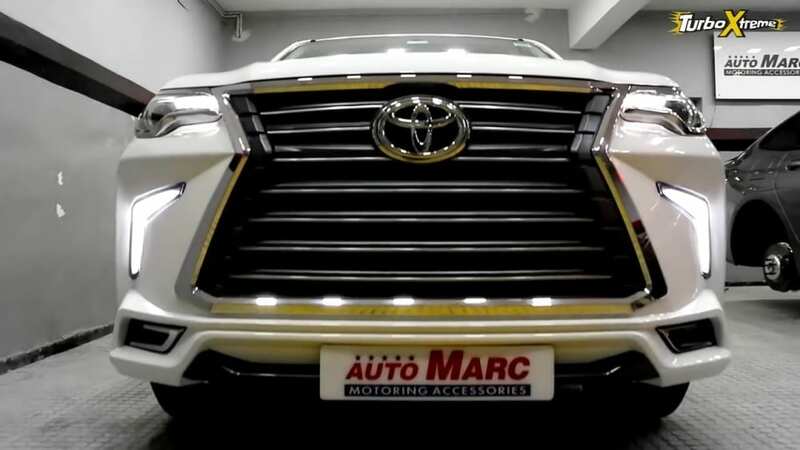 The LX570 costs INR 2,32,90,000 while Fortuner can be had for INR 27,58,000 for the petrol and INR 29,59,000 for the diesel engine. The range-topping model with automatic gearbox and 4×4 is available for INR 33,28,000. 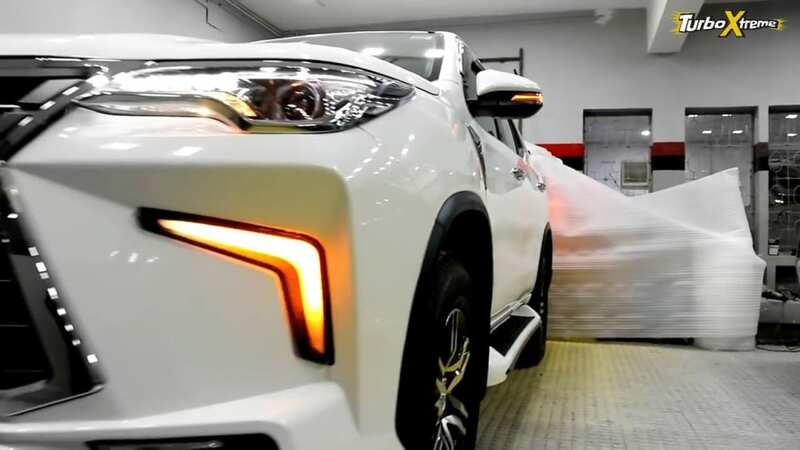 The average Indian buyer can get seven Toyota Fortuners for the price of a single Lexus LX570. 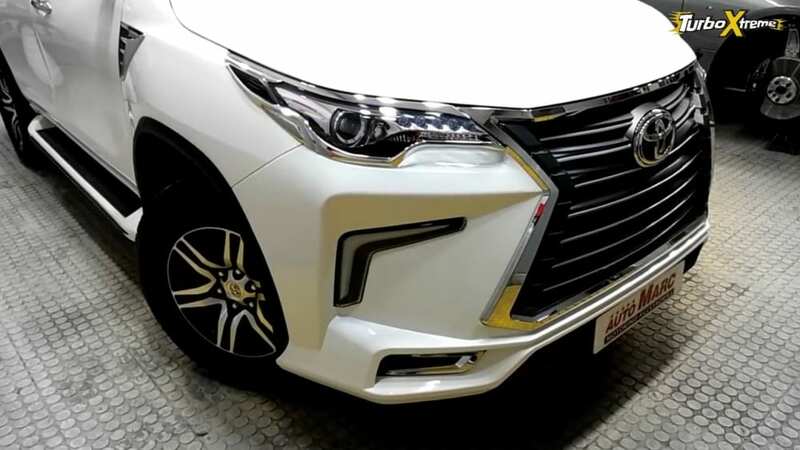 Apart from the grille, the boomerang-shaped section within the front bumper is also derived from the Lexus model. 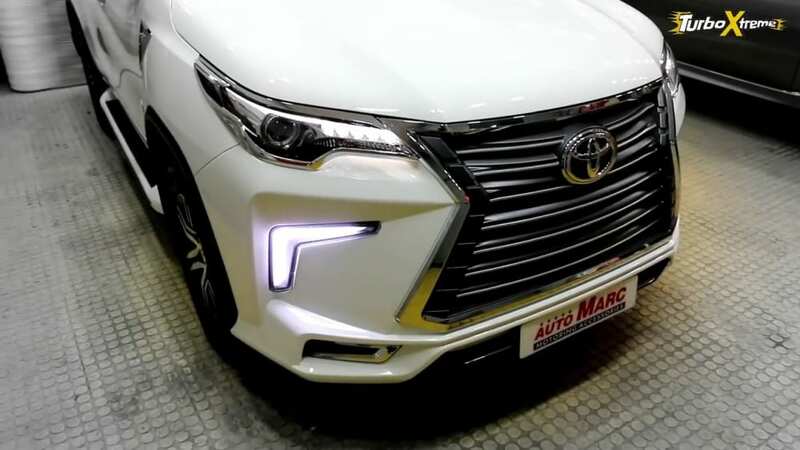 The indicators on the modified Toyota Fortuner not just look great but have the dynamic effect like most premium cars in the Indian market. The interior is already luxury wrapped with leather seats and wood finish on the dashboard. The exterior rearview mirrors are now dual-tone finished while side steps are more prominent in comparison to the stock car. The rear comes with a custom bumper kit while most things remain similar to the stock rear end of the car. 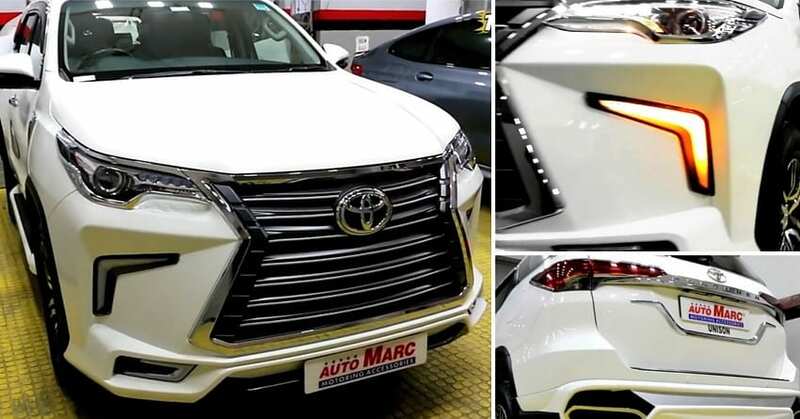 The modified Toyota Fortuner shows no signs of performance upgrade and buyers can get any of the two available engine options for modification. 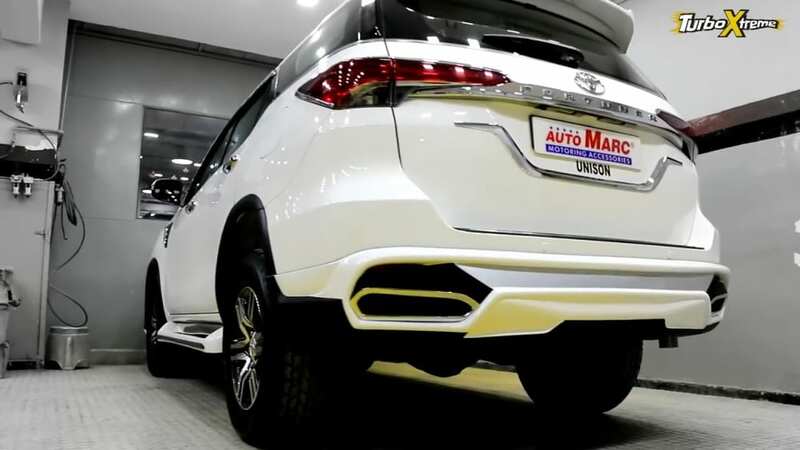 The diesel engine is the highest selling variant for the new Fortuner.